﻿ Photo Art Studio - convenient software for photo editing and decoration. 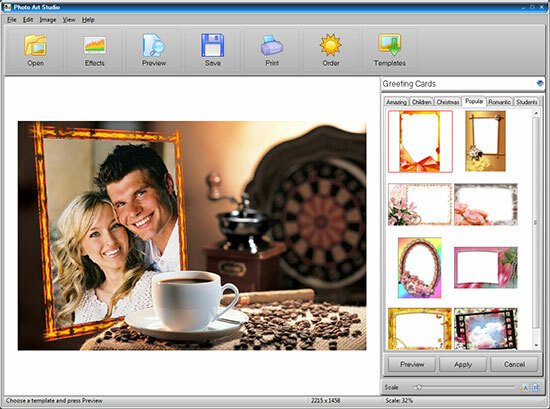 A convenient photo editor named Photo Art Studio is included in myPhotoLab suite. It is ideal for making beautiful portrait photographs for your customers. The editor provides all necessary tools for photo enhancement and color correction. Besides, there is a wide range of decoration options to turn every ordinary digital shot into a little piece of art. 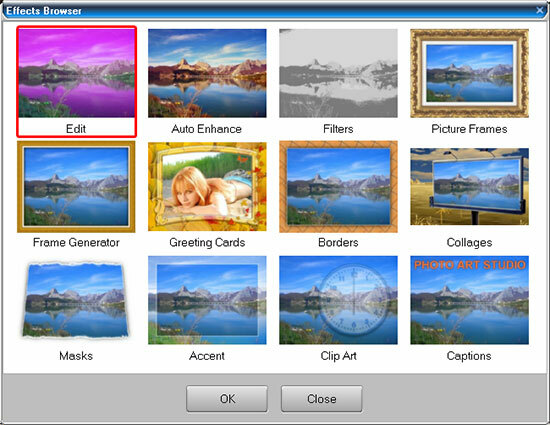 With Photo Art Studio you can adjust picture quality, apply image filters, add borders, frames, and masks. There is also a huge templates collection for making delightful greeting cards and original photo montages. Use the app to prepare a portfolio of your best pictures, display these in your photo studio - and soon you will surely see the number of customers increase!